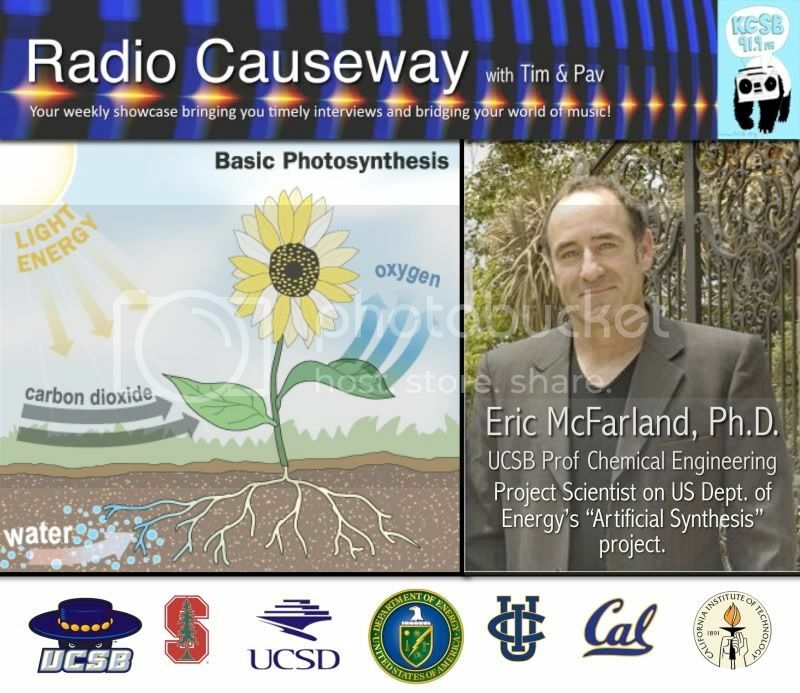 Eric McFarland, Ph.D. and Professor at UC Santa Barbara's Department of Chemical Engineering visits Radio Causeway to discuss his work with the new $122M US Department of Energy's "Artificial Synthesis" project. The Joint Center for Artificial Synthesis (JCAP) is a colaboration of six top California universities with a goal of developing cost-effective methods of gathering energy from sunlight by mimicking the process plants use to produce energy: photosynthesis. Radio Causeway airs live Tuesdays at 9 AM on KCSB 91.9 FM in Santa Barbara an online at KCSB.ORG.